Professor Philip Kalra is Consultant Nephrologist at Salford Royal NHS Foundation Trust, Honorary Professor at the University of Manchester. He is lead of the renal research team at Salford with major research interests in atherosclerotic renovascular disease and cardiovascular disease in CKD. 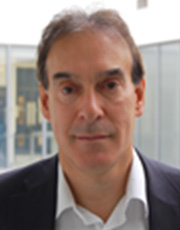 He is chair of the National Renal speciality group of the NIHR CRN clinical trials network. He served on the KRUK grants committee from 2008-2013. He has contributed to the development of several large UK clinical trials in nephrology and cardiology and has played a role in amalgamating Cardio-Renal education and research within the UK. He has been involved in Postgraduate Nephrology education for over 2 decades and is editor of a popular textbook used in preparing for the MRCP.